Dress to impress this season wearing this Missoni® Sweater. Brightly colored striped pattern adorned throughout for eye-catching envy. 73% cotton, 16% rayon, 8% flax, 3% nylon. Product measurements were taken using size 52. Please note that measurements may vary by size. 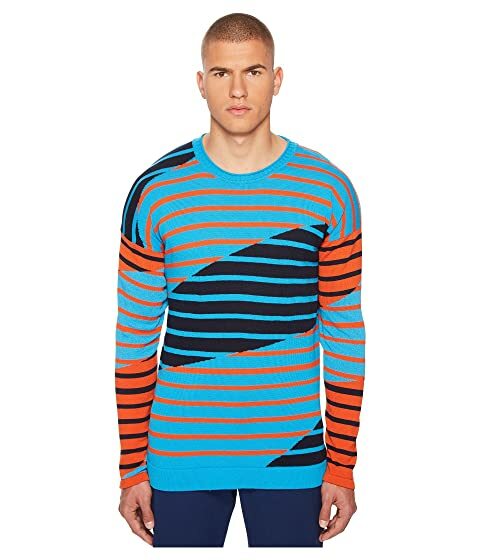 We can't currently find any similar items for the Intarsia Sweater by Missoni. Sorry!